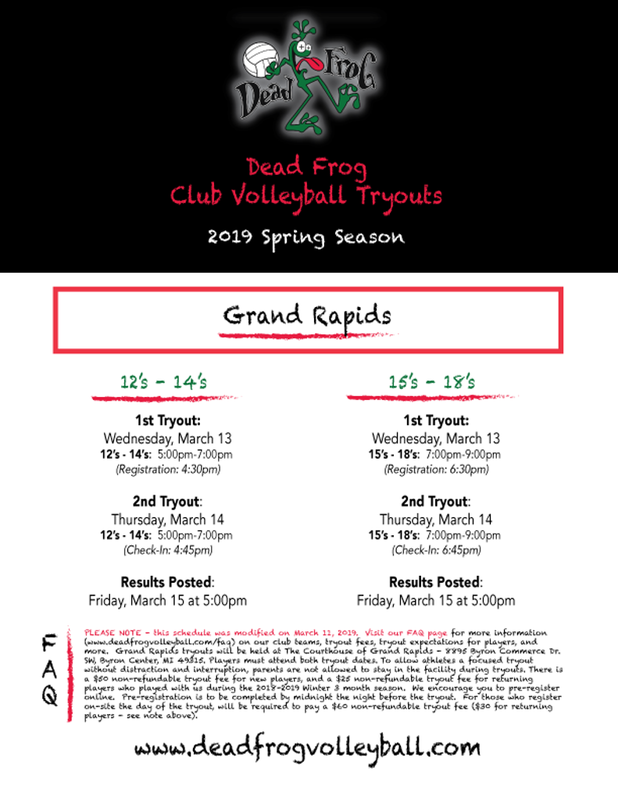 The Registration "Grand Rapids Spring Tryouts" is not currently available. Registration will automatically shut off at midnight the night before first scheduled tryout for each age division. If you miss the online registration deadline, you can register in person prior to your first tryout (please be advised that day-of registrations are $60 for new participants and $30 for returning players who played on a 2018-2019 regional team).